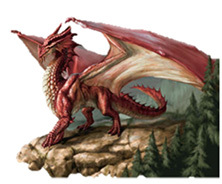 The “Cambrian Dragons Trail” is dedicated to “Y-Ddraig Goch” and his travels across the Cambrian Mountains to ensure peace and prosperity of the land. 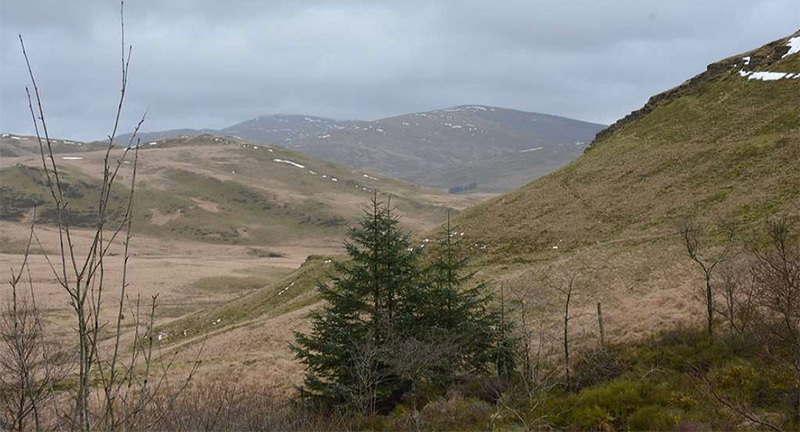 The challenging 60km (37mile) route is from “Sea to Summit” across the scenic and tranquil Cambrian Mountains. The route starts at the seashore on picturesque Clarach Bay on the west coast just north of Aberystwyth; and heads east on a mixture of tracks, trails and minor roads; following a course through scenic valleys, over breath-taking Mountain tops on a course that sees some of the most spectacular views in the Cambrian Mountains; and finishes in the quaint historic market town of Llanidloes. 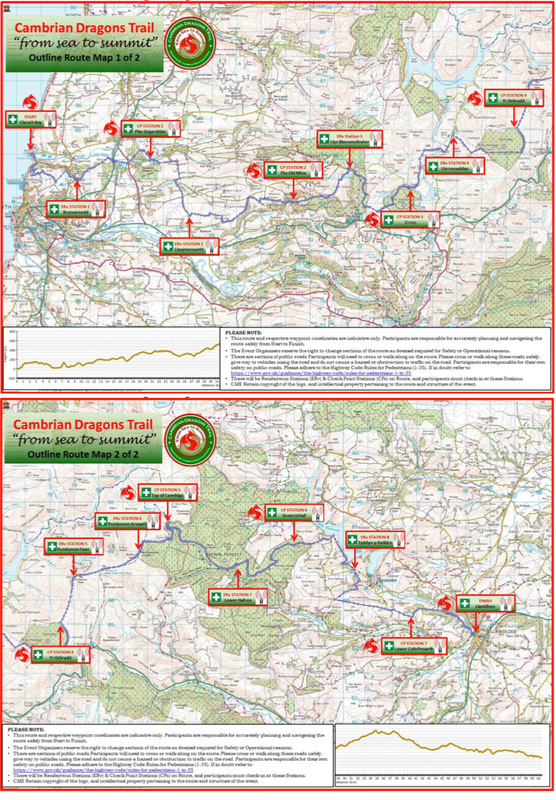 A stunning route that is well worthy of its name “the Cambrian Dragons Trail” to commemorate the mystical and majestic “Y-Ddraig Goch” the protector of this scenic and tranquil land. The event is open to Walkers, Hikers, Runners, Tabbers or Crawlers, but must be completed in 13hrs. The Route will be Waymarked at key points and change-of-direction, but will not be hand-railed! Reasonable navigation skills will be required to safely partake and complete this event in the required time. NOTE: those who do not possess reasonable navigation skills or are not confident in their ability are advised to partner with a person who is confident and able to navigate the route. Once you have registered, please ensure you download the Outline Route Maps, Route Way point Coordinates and the Event Entrants Brief. All participants must check-in at Check Points Stations and Rendezvous Stations on Route, and give their allocated wristband numbers to Station Marshals. The event must be completed in 13 hours (by19:00). Participants who successfully complete the Event will receive the unique “Cambrian Dragons Trail” event patch. Buffet & Refreshments are available for all Participants from 15:00–20:00 at the Crown & Anchor Inn in Llanidloes. Sorry, no Children below the age of 13 years due to Safety Reasons. All young-persons between the ages of 13- 17 years must be registered and accompanied by their Parent or Guardian for Safety Reasons. The event organising team reserve the right to change sections of the route or on-route station locations prior to the Event, due to terrain associated restrictions or any other factors that could compromise the safety and welfare of the participants and support staff alike.